“The Stroke” shows off why he doesn’t need Casablancas and company on AHJ’s defiant fourth album. Albert Hammond Jr. was the first Stroke to go out on his own in 2006 and has the most solo tracks under his belt. His first album Yours To Keep (2006) showed off a sound that despite being very guitar-driven and reminiscent of The Strokes, had enough originality thanks to his unique vocal delivery and summer-vibe upbeat riffs that only AHJ could produce. He followed that up with a mediocre sophomore slump album Como Te Llama (2008). Later, The Strokes got back together and released 2 full albums and an EP. Since 2013, Albert has released the great AHJ (2013), a solid third record, Monetary Masters (2015), and now, his best album yet. 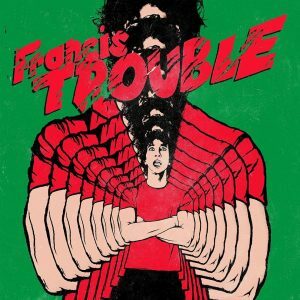 Francis Trouble (2018) is an album where Jr. discovers a fresh and energetic identity – note, an identity inspired by a twin brother who was sadly never born, but whose fingernail was still found in the afterbirth. This revelation, which he didn’t learn until age 36, brings to the forefront that frontman swagger that he lacked in the past. On the first single “Muted Beatings”, Albert channels the sounds of 2009 Paramore with far more personal lyrics and extremely intricate arrangements. “Rocky’s Late Night” is another highlight off the record. This track is captivating with infectious guitar work and deeply personal lyrics about his growth as a person and grasping how to deal with life’s changes. The beautifully harmonized and slow-building jam “Set to Attack” also soars and is sure to be a staple for live shows down the road. Unfortunately not all the songs are winners. The second teaser “Far Away Truths” falls short when it’s up against other tracks in Hammond’s discography; it also just sounds like a weak Strokes song. A few other tracks suffer due to similar reasons, not bad songs by any means, but underwhelming. With all that being said, Albert has made it clear that even if The Strokes don’t get together to record any time soon, we’ll still have one-fifth of the band. He’s putting his heart and soul out here, and it’s pretty damn catchy. All in all, the future looks bright. Feature Photo By (Albert Hammond Jr./Official Website).